Denia is one of the towns of the coast of Alicante where there is a greater supply of purchase sale of all types of real estate; apartments, villas, townhouses, houses, flats, plots, etc. If you are considering buying a town house in Denia, feel free to take a look at our section dedicated to the sale of homes of people in this town and in areas and towns next. Townhouse in Denia for sale. Nice corner property with wonderful views, 3 large terraces and solarium. Wardrobes in all rooms, two bathrooms and toilet. Air Conditioned throughout the house, decorated and furnished, equipped with appliances. 2 parking spaces, ideal housing to live all year, as for holiday seasons for its excellent location close to all services: supermarkets, schools, hospital.etc., 200 m2, 3 bedrooms, 3 bathrooms. 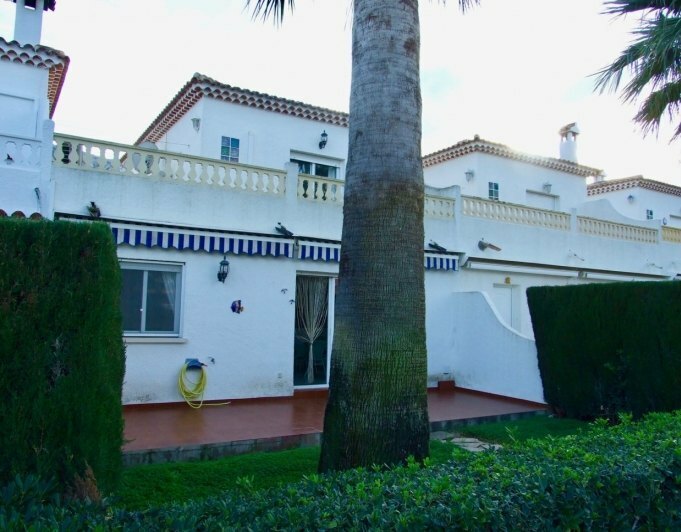 Townhouse in Denia for sale. 900 m distance to the beach, 600 m down town and 600 m supermarket. Garage 40 m2, two 25 m2 terraces, 215 m2 living space. Townhouse in Denia for sale. Located in La Xara, near the golf course, the new shopping center and the motorway access. Charming 10 year old Spanish village style urbanization. Quiet pedestrian streets surounded by parks and nature, perfect for long walks and byclicles. No car needed, walking distance to the town center with supermarket, pharmacy, new modern hospital and all yiu may need. HOUSES IN DENIA FOR SALE. 5 HOUSES LOCATED IN THE RESIDENTIAL AREA OF SANTA LUCIA, DENIA, 2 KM FROM THE BEACH AND 3 KM FROM THE CITY CENTRE OF DENIA, WITH FANTASTIC VIEWS OF THE SEA AND DENIA'S CASTLE. 1 MASTER BEDROOM WITH BATHROOM EN SUITE, 2 BEDROOM DOUBLE, BATHROOM, TOILET, LIVING/DINING ROOM, KITCHEN, TERRACES, GARDEN AND PRIVATE SWIMMING POOL.